I can tell you that one of my favorite modes of travel is cruising. I love the Once and Done unpacking prophecy, and that the kids are close-by but having fun with all the other kids because the Camps and Clubs on Cruise Ships are bar none! Early morning Room service with that pot of coffee and a seat on the balcony is the ultimate, but honestly, I can’t relax unless of course I have packed the things I need to make my life comfortable while I am away. I am obsessive-compulsive in many areas of my life and that trait is hard to kick when I travel, but it is also handy. 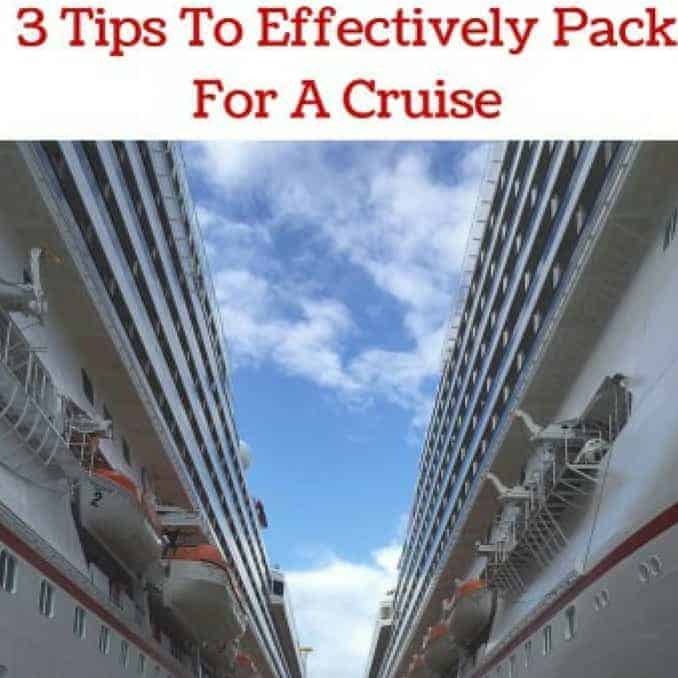 Lavishly live 3 Tips to Effectively Pack For A Cruise out loud so that you will have what you need at your fingertips, labeled, and leak-proof, while being very organized. Cruising is a blast, but I believe in managed preparedness, because if I have to go track items down, that should have been within arms reach, I can’t get myself together. While everyone works differently on vacation, I like to have my things with me. Trust me, I am human, even with the best lists in the world, I forget things, but this is not about forgetting things, this is about organizing things that you have with you so that life on-board the Cruisingis even more lavish! My husband still thinks I am nuts but he just goes with it, as when we get to the room, I don’t run out for that drink, rather I get the luggage unpacked and I think about nothing else after everything is out of the luggage. The great thing about this is when everyone else is looking for this, running out to buy this or that in the Cruising stores we are going for those drinks and getting our seat in the shows, lol! The key to surviving organization is a product we all purchase but may not use for packing, so I would like to introduce you to my clear little friends, that zip, slide and let’s the light shine through creating chaos-free, extraordinaire packing and how to get them filled. Many cruises go out of the country, and sometimes you can find what you need on the ship, and sometimes you can find what you need while on land, but I don’t like the ‘sometimes’ prophecy so I pack it up, within reason. Make a list for each person in your family. On the list, make sure to include medications that they regularly take and basic grooming supplies that are used everyday. In addition, if they have one sickness that recurs frequently, but they only take meds for this on and off, make sure they have what they would use if this happens. Why do I find it so necessary to pack so very organized when cruising or traveling? On this trip, we will be out of the country, and no within our normal reach of a pharmacy. I am traveling with one child with severe allergies and it is a must that I know where everything is at any point in time, as no chances can be taken with his life. I also prefer to unpack with ease, and not need items I did not pack. When we traveled to Italy not so long ago, we found it impossible to find a medicine I much needed and the translation of the word for the product did not work, thus, lesson learned. Preparedness ahead of the crisis can make things so much easier. Why bother tossing stuff into bags if you are not going to label them? If you have 12 zipped bags with you, and each one is loaded with stuff how will you know what is where? You won’t. Grab yourself a Sharpie, and mark those zipped bags so that it is organized. Our bags were marked by person as well as by product. Yes this does take a little time but you will sail through this step, but I do recommend organized bags, let’s me show you how. What’s Packing In Your Bag? Clear, perfect and in a few sizes, let me present zipper bags that will make your life so much easier. My road to packing organization for a cruise(or any vacation really) is always made easier when I use this little collection. Brand name or non-brand(note however, I used brand), it does not matter, but it does matter that you use them. I do not use zip bags that need press and then sealed, because I have been burned by those little seams not closing and then leaking all over my luggage. Rather, I take these zip-lock style bags with me and zip up what I have packed. However…. my organization goes way beyond what you might find normal, abut it saves me a lot of time. Let me compare my packing for a moment to Jack Nicholson’s character packing skills in As Good As It Gets. This method of packing in zipped plastic bags makes it possible to keep things organized, and together and then you can just pull out the labeled bag! Grab your favorite PERMANENT Marker, all the items you made on your list and let’s get packed to travel! Gather what you need, pack lightly and remember cruise ships have things in the bathrooms as well such as Conditioner, shampoo, bathwash, etc, so leave all that liquid at home! I will need a toothbrush, floss, toothpaste, mouthwash, in addition to bandages, lotion, sunscreen, facial cream, acetaminophen, Cruising, cotton swabs, nail polish, and powder. I will also need all of my son’s special meds for his allergies, my other children’s medicines as well as my hair products, etc. Shower Bag: shampoo, conditioner, comb, etc. Pool and Beach: Sunscreen, Face Stick, Aloe, etc. As you can see, my plan is to have a bag for each different category that will be used or how it will be used. I then label each bag accordingly because I can(love those writing spaces!) When we get to our rooms, I simply give each person their marked bag and we are good to go. I am not sifting through a bag that has stuff for everyone but is not sorted, rather I am whipping bags to people, they are placing it where it needs to go and we are out of the room and set to go in minutes, not hours! And the most cherished news of all, if I brought it, I don’t have to ‘buy’ it, and if it is labeled, I don’t have to search for it and then say, “never mind that I can’t find it, I will just go buy more!” precious time in a line that could be traded in for a Margarita line instead! I can’t stress enough how much you will love having an over-the-door organizer with you and hanging on your bathroom door. Everything will be within hands reach, and you can simply see through the pouches and grab for it. Grab those organized bags that you brought along and place your oral hygiene stuff in the pockets as well as your makeup for easy finds and leave all the other stuff in the plastic bags, hanging inside of this, so it is all sorted and ready to grab. I left this hanging on the door the whole time, used what I needed and felt like a packing pro! Why go back to suitcases you stowed away any quicker than you have to, trust me the end of the Cruising comes way too quick and those suitcases are like mace, lol! When the ship rocks (and they do some days and some nights) , your stuff is secure and nothing will go rolling. When the Cruising ends, you pack your items back into your bags and you collapse this FLAT into your suitcase. It keeps the stuff off of the counters, off of the racks and you will have a clean counter-top that can be cleaned when the cabin crews come through to tidy up the rooms each day! I find that living on the cruise ship is such a great way to vacation and my ability to organize, and unpack once and once only, while keeping everything organized and in its place makes it even better. 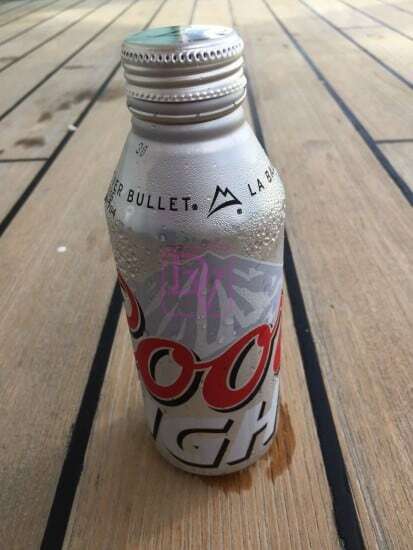 Why spend time hunting for items you need or could have packed and simply forgot, when you could be on the LIDO Deck enjoying the sunset, the breeze, and some drinks, or first in line at a show. Lavishly live cruise ship travel out loud and use these 3 Tips to effectively pack for a cruise when you pack up and get ready to set sail! My wife and I think it would be so fun to go on a cruise. Packing for vacations is definitely not our strong point though, so some of the tips you provided will be really useful for us I think. Your suggestion to label our plastic bags is definitely something I’ll be sure to do to help keep us more organized when we pack. We haven’t gone to a crusie yet but I will bear all these in minld wgen we get the chance to go for one. Thanks for the wonderful tips. I love the idea of the over-the-door organizer! We’ve gone on a cruise the past 3 years and that would’ve come in handy! Yep, this is the best way to keep your stuff handy, yet organized and it won’t roll away! Cruising is my favorite way to travel!!! Have yet to go one one I didn’t just love to death! Im list obsessed so I always make list of everything when packing! How I wish I can just simply cruise away from my problems. Well, not that I’m not facing them, though that plastic zipping might just come in handy in a different way and a better solution for my issues and tissues. When we went on our cruise back in ’09 we brought another bag with us, you never know what you might find when your at port and checking out all the new shops! The over the door bag is smart, you almost need 2 so you can have one in the washroom for your curling iron, blowdryer and make up. Those counters are tiny! Heather Lawrence recently posted..Back to School, back to YOU! I love to go cruising for vacations!! These are great tips for packing for a cruise vacation. These are all great tips for packing for a cruise. I love the idea of putting everything in a baggy in different categories. Being organized is a big factor to packing in my opinion. Thanks for sharing the tips. Thanks for these tips. I will keep this in mind for our next cruise. I think taking an over the door organizer is a great idea. These are such great tips for packing for a cruise. I forgot so many things on my last cruise, I need to be better organized. Organization and cruising.. it’s the before that makes the CRUISE so good! These are great tips, especially for someone who’s never been on a cruise, like me!! The more time that passes, the more I’m getting more interested in going on a cruise. Could have definitely used this post a few months ago! I went on a 9 day cruise in May. Under packed, but, had all the essentials! Great tips! These are some helpful tips. I’d definitely want to have all of my bags labeled to stay organized. I’ve never been on a cruise, but some of my relatives go on cruises all the time. I will share this post with them. This list will be useful for any vacation, too! This is a great list for cruise packing! I have never been on a cruise, but if I do get to take one, I’m using your list! Such useful tips! I am sure going to be using these tips once I’m on a cruise again – really important to pack all the necessities as you can’t really get them once on board! Wow these all seem like a pretty great list of tips to effectively pack for a cruise, glad you provided to resource. I am going to look at them deeper and checkout the links you provided too! Sarah recently posted..A Bank Holiday To Remember? 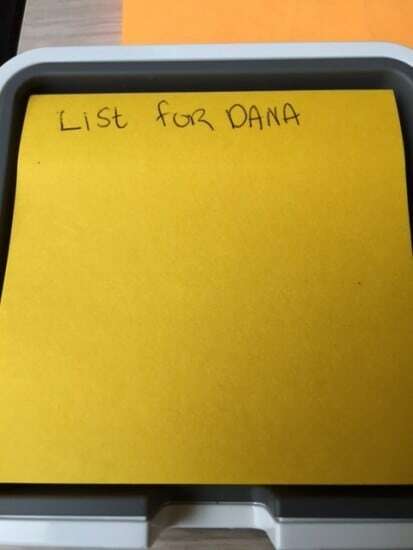 I always make lists when I’m packing for vacation. And I use freezer bags for all my toiletries and essentials. I haven’t cruised in years. These days, we just fly to our destination, but the grandkids have been wanted to go on a cruise, so I guess we’ll be cruising soon. I’ll definitely use your tips. Amazing post, Dana! I am doing most of the packing ideas you shared. I create a packing list for each member of the family, so I know I won’t forget something important. If I have the chance for more luggage I prefer each one of us to have a suitcase. I can arrange better the stuff and we can find easy what we need. Great tips! I especially love the tip about bringing an over-the-door organizer. Such a great way to stay organized and minimize the amount of time you spend looking for things. Thanks for sharing this!